Research has shown that the widespread use of synthetic fertiliser leads to soils that no longer have the required biology for healthy plant growth. Fertilisers come from a time when there was no understanding of long-term effects on the soil. During this time fertiliser was a miracle for farmers. The harvests doubled and the farmers were able to provide the required food for a growing population. Unfortunately, now after years of using synthetic fertilisers, the effects on soil health are clear. Part of the negative effect has been that fewer nutritional minerals remain in the soil, resulting in plants that quickly become weak and diseased. These plants are no longer protected by bacteria and fungi but instead are attacked by them. This is a costly business for farmers and is disastrous for the soil. There is no doubt that nutrients are necessary for plant growth, however, what is in doubt is the form of nutrients the plants have used to achieve that growth i.e. natural nutrients or synthetic nutrients? Generally, 16 nutrients are necessary for plant growth, however, 3 of the 16 (viz. nitrogen, phosphorus, and potassium) are more important. These nutrients are known as primary nutrients. Each one of these 3 plays an important role which cannot be replaced by any other soil nutrient. For example, nitrogen is important due to it being the major component of both chlorophyll and protein. Why is this important? The answer is easy, photosynthesis. Phosphorus, on the other hand, is the driver of the seed germination process. Its role is most notable in the development of plant tissues that influence the formation of the plant’s 3 key structures, i.e. roots, stem, and leaves. Lastly, potassium is the nutrient which is the key to the plant’s hydration and dehydration process. Without this nutrient, the plant is likely to die of thirst even with sufficient nitrogen and phosphorus. Can nitrogen alone bring growth? Unfortunately, contrary to popular belief, the answer is no. 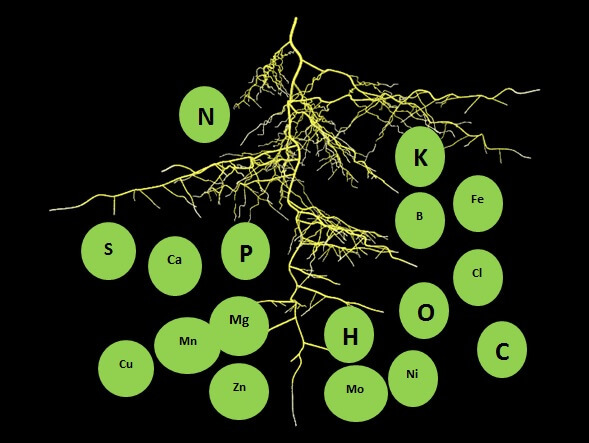 Based on the above-mentioned roles for each nutrient, it is obvious that nitrogen alone cannot bring growth. Applying nitrogen in large quantities with the goal of maximising growth is like flushing money down the drain. 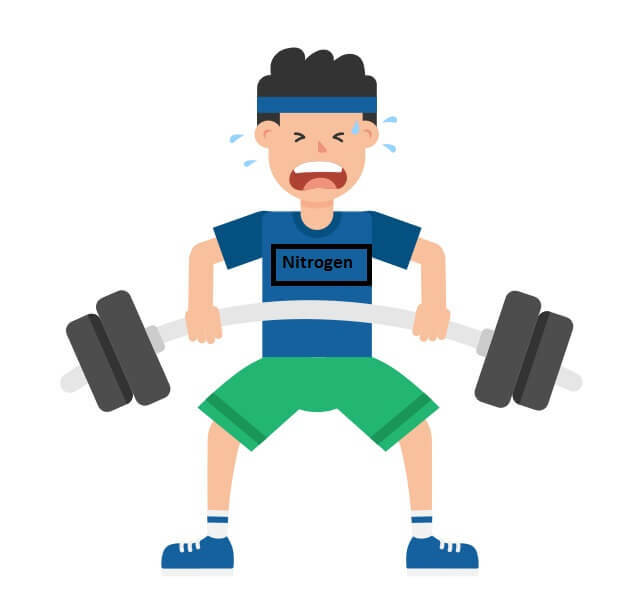 For nitrogen to be effectively used by the plant there needs to be an equal balance of other nutrients that play a role in the plant’s development. Fortunately, all these nutrients are available in soil organic material; however, they first need to be broken down by the soil life in order for them to be available to plants. The process of organic matter being broken down into plant available nutrients happens optimally when the life in the soil is in balance. Farmers who desire to save costs on fertiliser, and who want to continually improve the health of their soil, should start relying on the soil life for plant nutrients. Fertiliser is then only used to supplement with external nutrients when necessary. Synthetic fertilisers are costly, and when applied without the other primary nutrients being in balance they are ineffective, resulting in a waste of money. Nitrogen cannot do the job of phosphorus, nor can it do the job of potassium in plants. Making sure that phosphorous and potassium are sufficient should be of the same priority as nitrogen for farmers. The aim should always be to minimise inputs, while still maintaining optimal growth. This is especially important in these tough economic times. Bring back the soil biology. That is where farmers need to start. In order for the external nitrogen input investment to bring fruition, there needs to be a booming soil biology. This biology will actually work hand in hand with the soil and the plant. Even with applied nutrients, the chances of nutrient loss are minimised with the presence of an active biology. This is because the organisms are able to trap and hold nutrients that would have otherwise been lost and keep them for later for the plant to use. These organisms need food in order to start returning in the soil. The food they need is in the form of carbon. Building soil carbon is the first step that farmers can take in creating a stable bridge between the soil, plant and external inputs. Below I have added links to blogs that give more comprehensive details on how to build soil carbon. Notes: So how do you actually go about building carbon in soil?